The 2017 Running Calendar is now available for pre-order. To pre-order online (world-wide shipping available) from Amazon.co.uk, click here. Its an inspirational calendar to hang on your wall, helping to keep you motivated year round. Plus, we’ve selected iconic images that even the non-runners in your household will appreciate… no peeking at the months ahead (we did!) 😉 ! 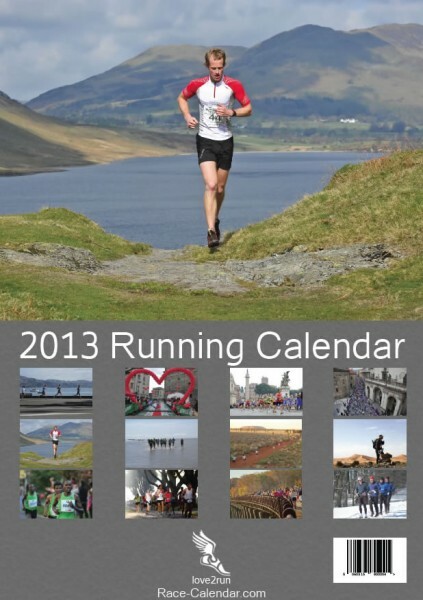 Are you a retailer or Running Club who’d like to sell our wall calendar to your customers, members and colleagues for a profit? 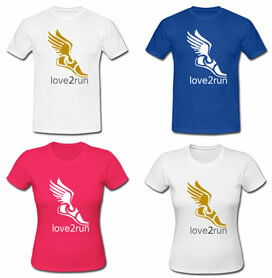 Our online T-Shirt store is provided for people who, like us here at Race-Calendar.com, love2run! If you love running distances near or far, whether you are old, young, male or female, you are most welcome to join our running revolution. You may find our T-Shirts in the standalone runners’ T-Shirt shop. 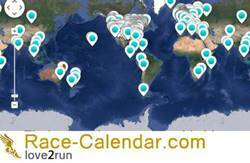 Purchasing T-Shirts from our store not only helps you to spread and share your love of running with people around you in your community, it also helps Race-Calendar.com continue to provide free online event listings for runners and race organisers across the globe. Whether or not you purchase a T-Shirt from our Race-Calendar.com shop, you are more than welcome to join the 42,000+ runners on our I Love Running Facebook page anytime you like! We love2run, we hope that you do too!